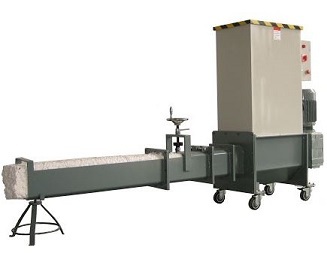 Our entry level polystyrene recycling machine allows all types of businesses to recycle this problematic waste stream. With it’s sheet volume but relatively low weight, polystyrene fills waste containers quickly. For this reason it’s often very expensive to dispose of this waste stream however, by using the SP 200 machine; it’s possible to turn the cost into a profit. The EPS SP 200 is a versatile and robust eps machine with manual pressure control. Available on a rental, lease or purchase option depending on your requirements. Does this machine require servicing? If so, how often?